Industrial robotics is expected to play a key role in driving the up-coming Industry 4.0 for a wide scope of industrial manufactures. Despite a small consumer of industrial robots, machinery industry has been ordering an increasing number of industrial robots in recent years. The growth of industrial robotics deployment in machinery industry is likely to show an accelerating trend in order to replace human workforce with advanced and more efficient industrial robots in harsh working conditions of machinery manufacture. Industrial Robots for Machinery Industry: Global Market 2016-2022 examines the worldwide market of industrial robotics in machinery industry through a comprehensive summary and analysis of premium information sources. 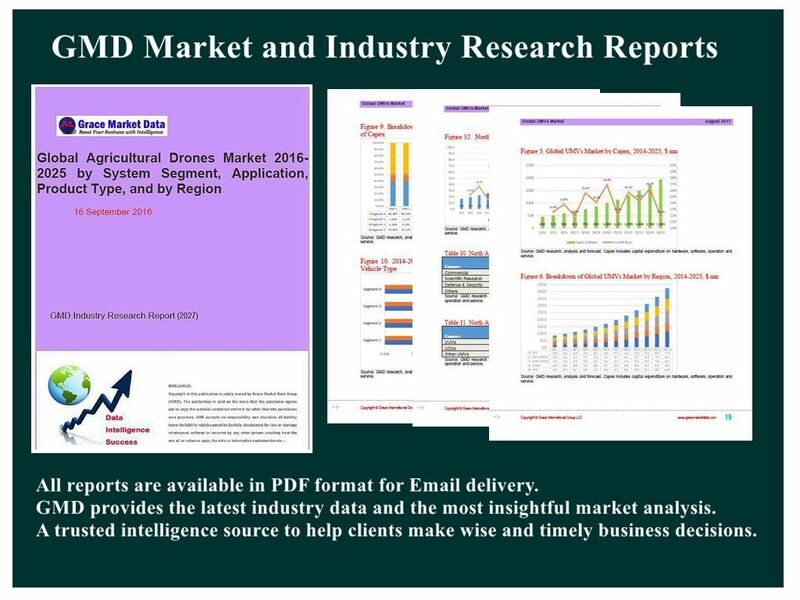 In addition to a review of global market environments and machinery industry trend, this report provides an in-depth and detailed analysis of market structure, market trends, market forces, end-users, application fields, product types, geographical landscape, and the major industrial players/vendors. In most analysis, historical statistics together with market outlook cover the 2014-2022 period in terms of unit shipment as well as sales revenue. On basis of end-user, the market is segmented into Automotive & Aerospace Machinery, Construction Machinery, Agricultural Machinery, Mining, Oil & Gas Machinery, along with variety of other machinery industries. The combined shipments of industrial robots in automotive & aerospace machinery, construction machinery, agricultural machinery, and mining, oil & gas machinery reached more than 76% of the global total shipments in 2015. On basis of application, the market is segmented into Material Handling, Welding and Soldering, Assembling and Disassembling, Cutting and Milling, Dispensing and Painting, etc. with Material Handling, Welding, and Assembling as the major segments. On basis of product type, the market is segmented into articulated robots, Cartesian robots, SCARA robots, and other robots (cylindrical robots, polar robots, delta robots, parallel robots, etc.). Articulated robotics segment dominates the market and is expected to grow at the highest rate among all the robotics types. Geographically, the global market is segmented into North America, Europe, Asia-Pacific region, Latin America and the rest of world (RoW). Specific analysis and forecast over 2014-2022 have been covered for important national markets such as U.S., China, Japan, Germany, South Korea, and Mexico. Asia-Pacific region dominates the global industrial robots market in machinery industry in terms of sales volume as well as annual revenue, followed by European market and North America region. Strongest growth potential also exists in APAC for the future market with China and Southeast Asian countries expected to be the main driving engines for the growth. Current competitive scenario and profiles of major vendors are also included. Highlighted by 4 tables and 77 figures, this 152-page report saves clients a lot of research time on a global market, and provides valuable information and a thorough understanding of the market’s emerging trends, which are needed to successfully derive critical business decisions, identify and expand business opportunities in the global industry.